This entry was posted in Oil Painting and tagged Art, Creativity, Lake Tahoe, Learning, Painting, San Francisco by theartofbrian. Bookmark the permalink. 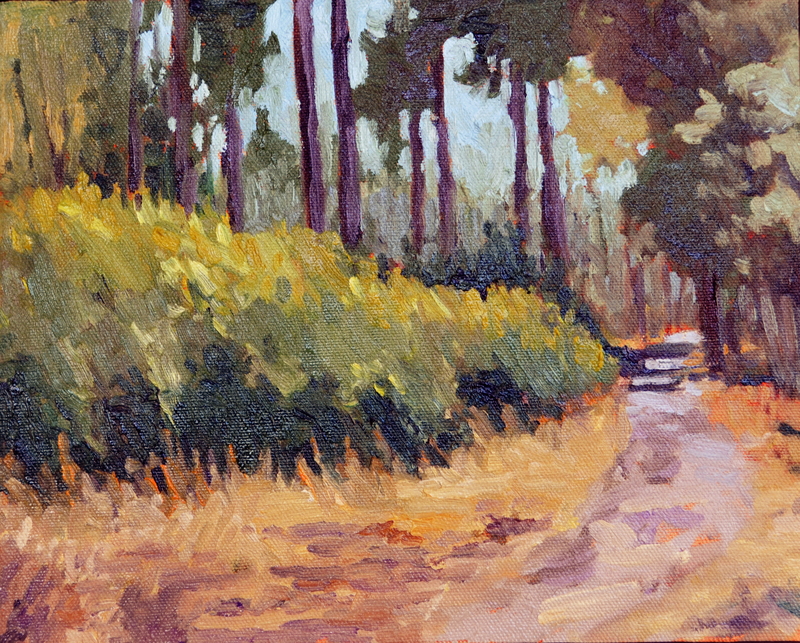 Is it more challenging when you have to incorporate warm colours such as orange and yellow? That is a good question. I think that a relationship with color develops over time and is about recognizing areas that you can adjust within a single painting and in your overall approach. I read recently that a finished painting isn’t evidence of 1000 perfect brush strokes but of 1000 corrections, which makes a lot of sense. I think I rely on instinct and what feels natural to make my initial decisions about color and then adjust over time. Warmer here…Cooler there…and so on. Thanks for your perspective, it makes sense. This is wonderful – so warm and glowing. I love the contrast of the tree trunks with the grasses. Delicious. Thank you! Change can be tough but it’s good to accomplish something new or see something in a new way.